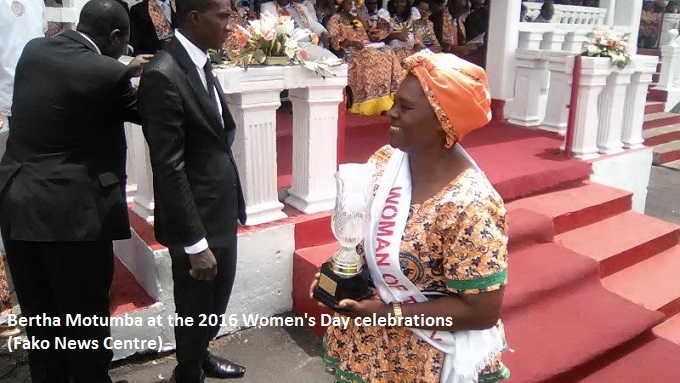 In addition to her decoration, she was awarded a trophy and a cash prize of FCFA 50,000. 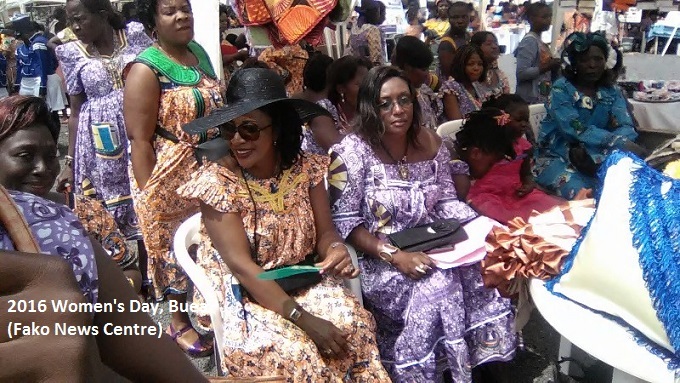 Bertha Motumba belongs to the Solidarity Women Group of Lysoka and is said to be very active in activities to empower women especially in the Buea Women’s Forum. 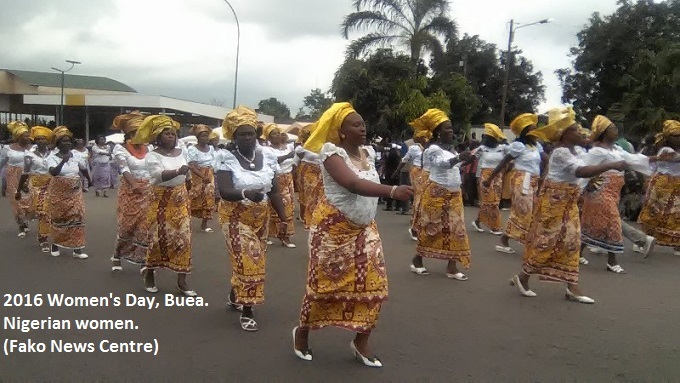 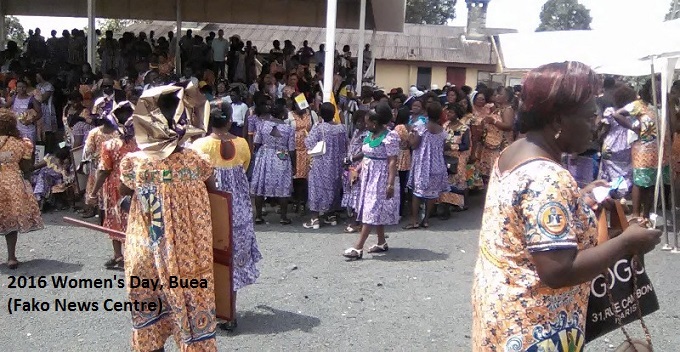 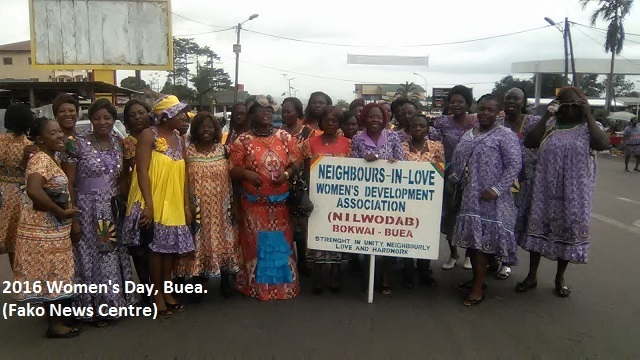 Celebration of the International Women’s Day in Buea was marked by a march pass of over 200 women’s groups and associations in Buea. 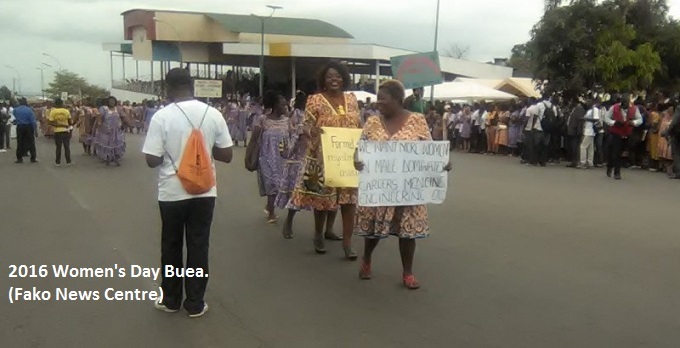 They marched with placards bearing messages against gender discrimination and violence against women. 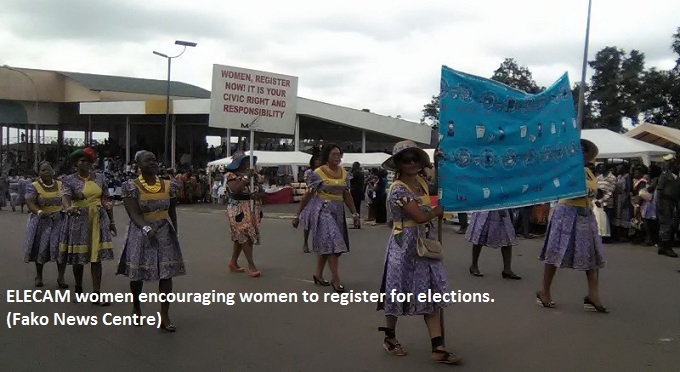 While women displayed placards decrying discrimination and violence, women from Elections Cameroon carried messages encouraging women to register to vote in elections. 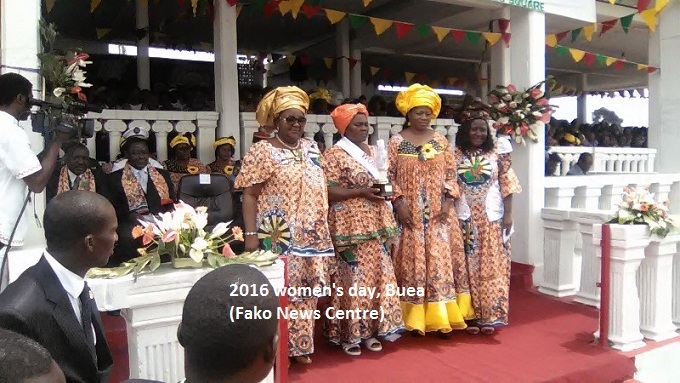 The South West regional delegate of ELECAM, Barrister Okha Bau Okha, used the occasion of Women’s Day celebration to encourage women to use their numbers to vote leaders who will rule to meet their aspirations. 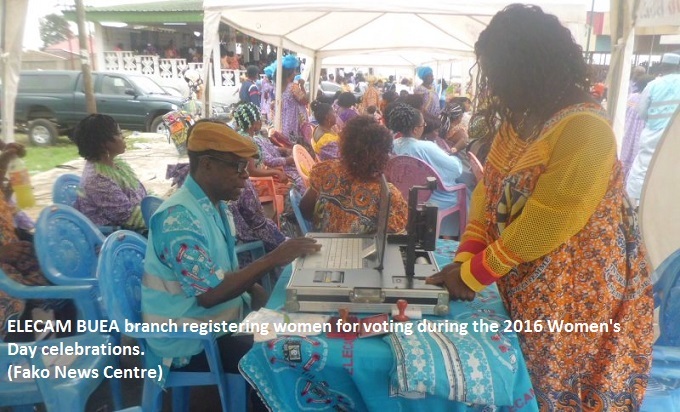 He also encouraged women to play key role in politics.